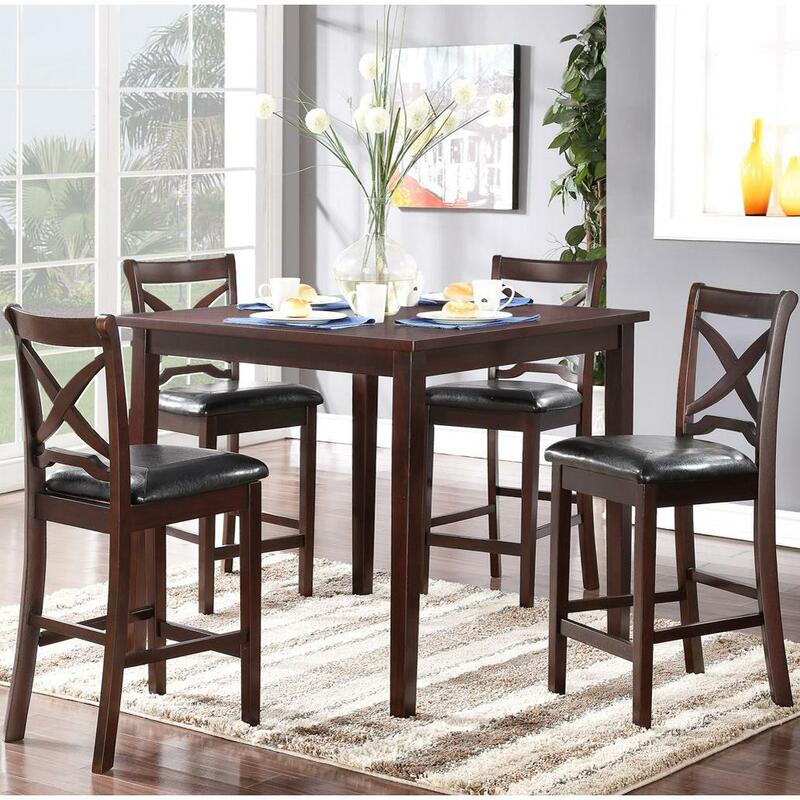 Gather your family and friends together as you dine in elegant style with this handsome counter height table and chair set in your home. Tall, X back chairs with a stretcher for a foot rest, gives this set a transitional look you will love. The lovely Espresso finish of the table and chairs adds a beautiful finishing touch that you will love. The Milo Counter Height Table and Chair Set with Tapered Legs by New Classic at Michael's Furniture Warehouse in the San Fernando & Los Angeles area. Product availability may vary. Contact us for the most current availability on this product. Transitionally designed, this Milo collection is exactly what you have been searching for to add to your elegant dining room. Choose from either a counter height table and chair set, or a dining table and chair set with a bench to find the look perfect for your home. Handsome accents like an X back and tapered legs, combine with the rich Espresso finish to create a look that you will love. The Milo collection is a great option if you are looking for Transitional furniture in the San Fernando & Los Angeles area. Browse other items in the Milo collection from Michael's Furniture Warehouse in the San Fernando & Los Angeles area.